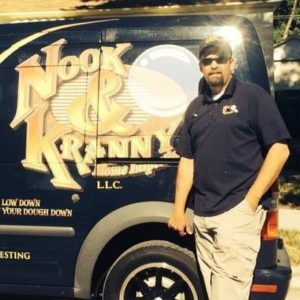 Troy leads the Nook & Kranny team and has been in the construction industry his whole life. Prior to becoming a home inspector, Troy worked as a plumber for 17 years. Troy founded Nook & Kranny in 1997 and has loved every minute of his time running the company. Over his career as an inspector, Troy has performed well over 10,000 home inspections and has risen to the top of his industry by becoming a master certified inspector.